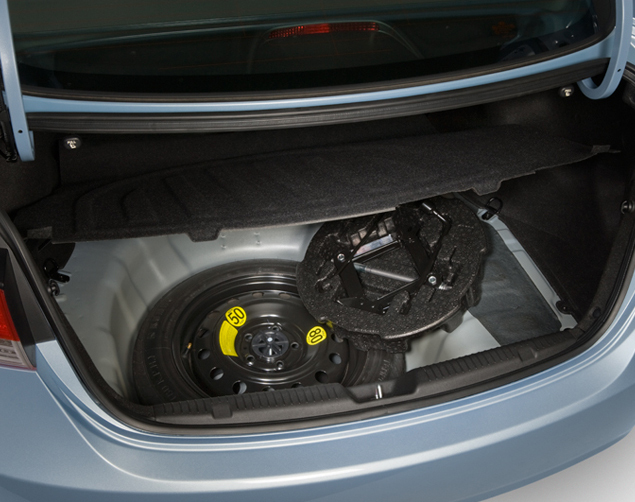 Factory-approved- space-saving Spare Tire Kit. Includes wheel- jack- lug wrench- hold-down clamp and foam tool case. Fits in trunk.